Halloween is one of my favorite times of year to get super goofy in the kitchen coming up with all kinds of fun and spooky recipes. We always start early in October making a bunch of Halloween inspired recipes. The kids look forward to making DIY edible crafts like Tangerine Pumpkins and Banana Ghosts or Mummy Dogs in their classrooms, Pizza Mummies which I make for 40 kids at my friend's trick or treat party or this addictive Caramel Corn made without corn syrup the day we head to the pumpkin patch. This year I’m adding a special recipe to the mix that you can and should try making with your kids! 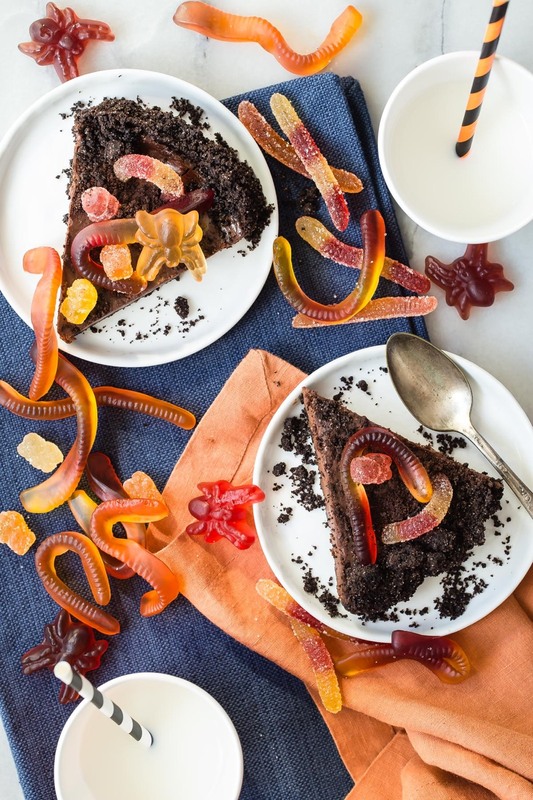 It’s totally addictive and will be the centerpiece and most talked about dessert on your Halloween buffet. If you make this Gummy Graveyard you have to share it on Instagram tagging @weelicious and put your own spin on it! It’s really simple to whip up and has tons of steps that get kids involved in the process of making it with you. 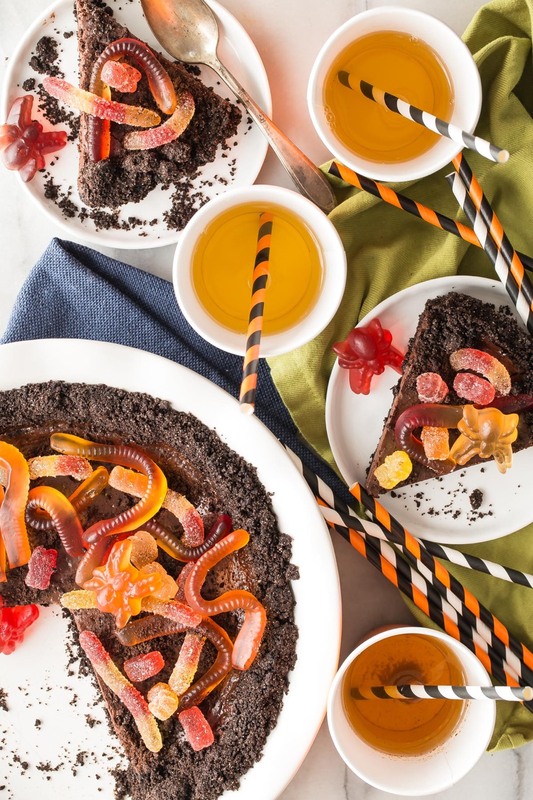 The only trick with this treat will be getting your kids to hold back from stealing all of the Surf Sweets gummy spiders, worms and other goodies before they end up on top of the luscious chocolate ganache pie. So many fun cooking techniques for kids to do in this recipe! You can have them crush the chocolate wafers in a zipper bag before mixing with butter and then press into a pie plate. 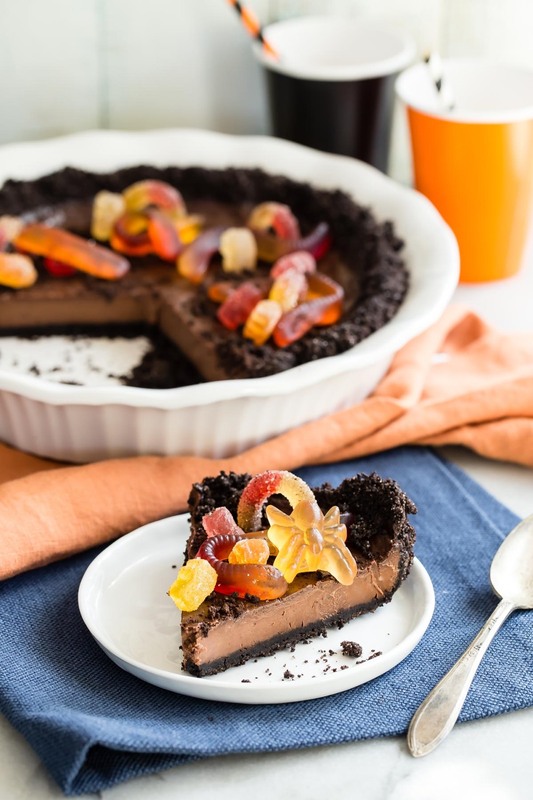 They can stir all of the irresistible ganache ingredients, pour it into the crust and then top with all of the adorable gummies. I’ve always been an advocate of dye free candies as we know dyes aren’t good for growing bodies and minds. 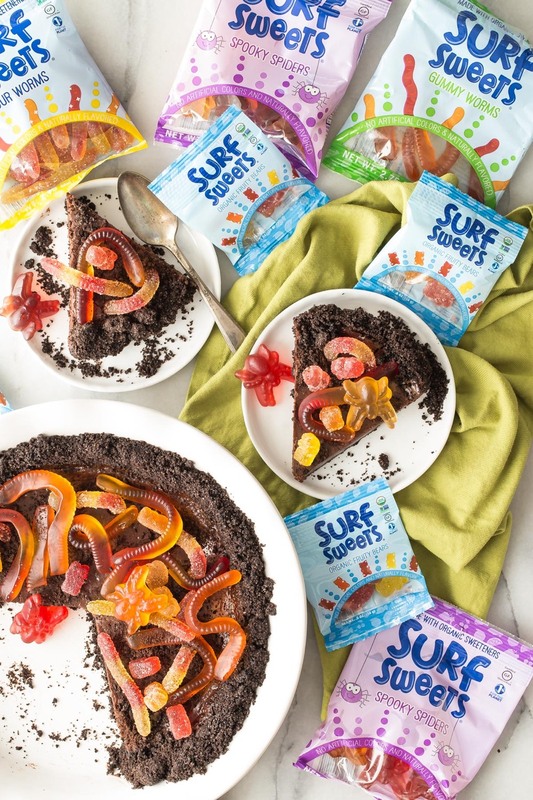 When I found and started buying Surf Sweets a few years ago it was a game changer for our family. I love that the kids can enjoy one of their favorite spooky treats, but without all of the colored dyes that other candy companies add to their candies. I’m SO excited that Surf Sweets is offering $250 worth of an assortment of their treats for you to enjoy and hopefully share with friends! In the comments below tell me what you or your child will be dressing up as this Halloween for a chance to win. Good luck! Surf Sweets is also offering a coupon for the entire month of October! 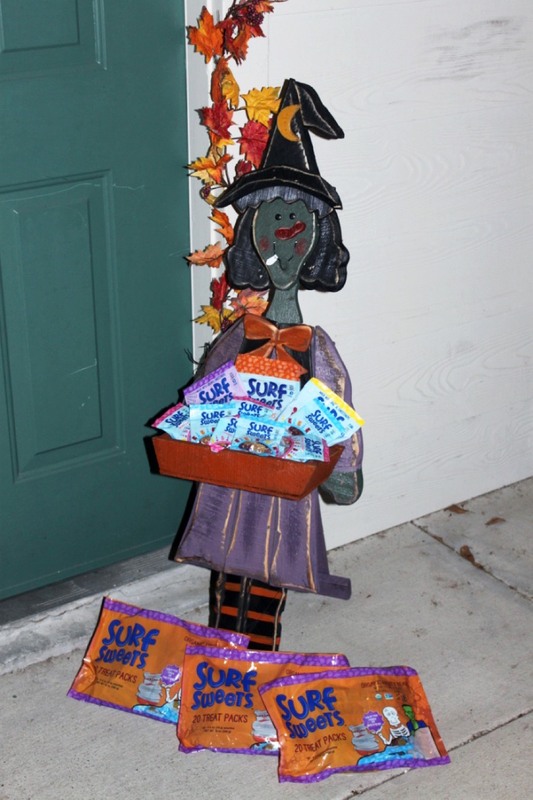 Prize_ One (1) lucky Weelicious reader will receive a $250 assortment of Surf Sweets candy, the witch pictured below + more goodies to make your Halloween spooky and sweet! Surf Sweets candy is free of the top 10 food allergens common to many families. This giveaway is sponsored by Surf Sweets. 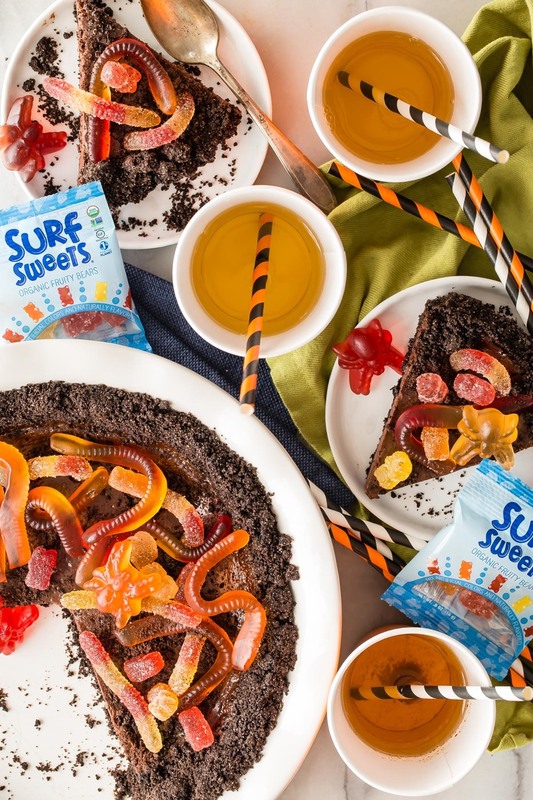 The Surf Sweets prize will be shipped to arrive at the winner's home before Halloween. All thoughts and opinions are my own. Duration_ This giveaway will be open until Thursday, October 13th at 11_59pm. How To Enter_ Leave a comment below! For more chances to win, share this giveaway on Pinterest, Twitter, Instagram, Facebook and Google+ with the hashtag #WeeliciousGiveaways, and leave a separate comment for each letting me know you've done so. 2. Combine the crushed cookies, sugar and melted butter and mix well. Press into a 9inch pie pan and bake at 450 for about 5-7 minutes. 3. In a bowl combine the egg yolk and creme fraiche together. 4. Warm the milk in a small pan on the stove and add the chopped chocolate. Stir until the chocolate has melted and is smooth. 5. Add the creme fraiche mixture to the chocolate and mix well. 7. 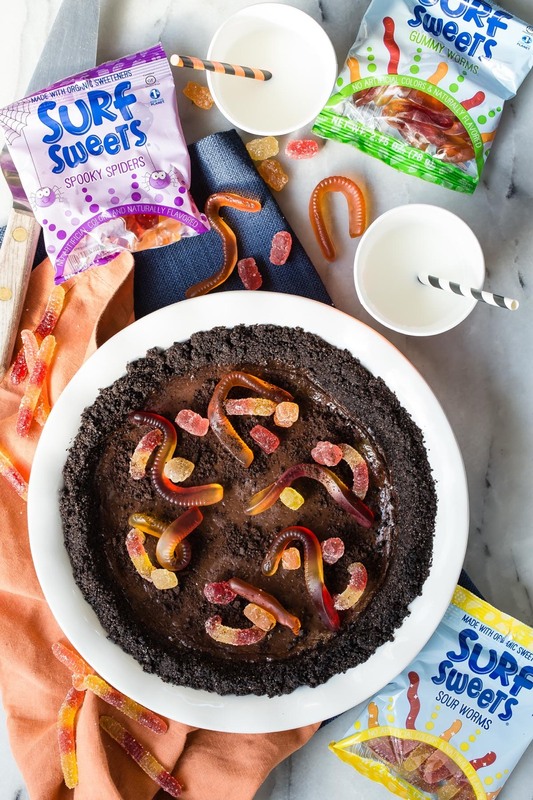 Place the gummy rings in the pie to form gravestones. 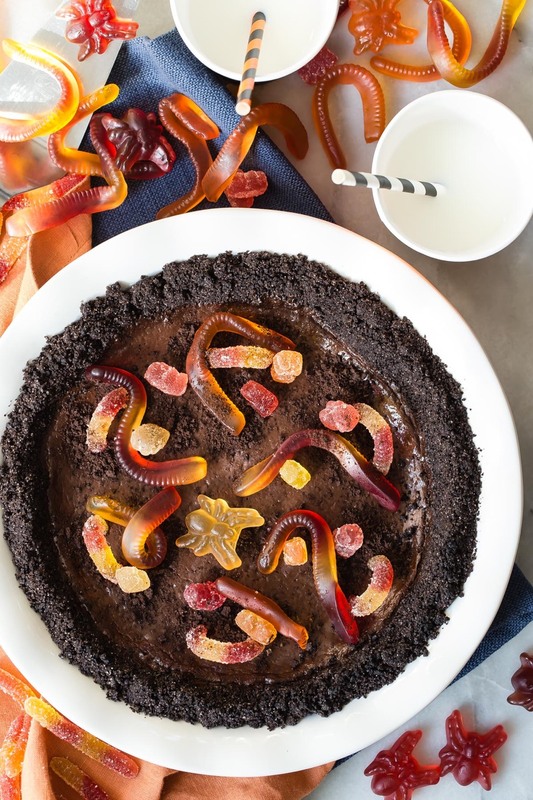 Decorate the pie with assorted gummy worms, bears, spider etc to look like a graveyard.